Starting in early June you can enjoy warm summer nights outdoors at the Memorial Park Amphitheater in Cupertino while soaking up some great live music. The summer concert series will run from June 2 until July 7 and will have different performances every week on Thursdays. 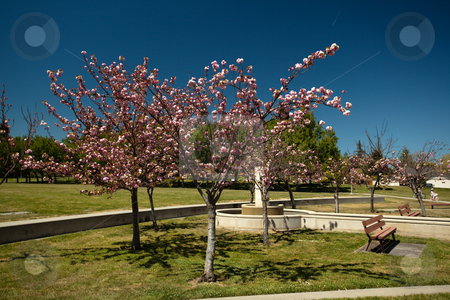 Only a few miles from Mountain View, this popular 28-acre park will spend 90 minutes every week transforming itself into a relaxing haven for live music lovers and cultural appreciators alike. And the best part is – it’s free! Bring a picnic if you want and enjoy some great tunes under the setting sun. The series starts off on June 2nd with a sure-to-be stellar performance by the Cupertino Symphonic Band. This local non-profit organization will put on a show featuring classical music, big band, music from musicals, movies, and more. The next performers are TinMan, a classic rock band; Mariachi Azteca; Highwater Blues, a blues-based band; OTR, who plays anything from classic rock to R&B to today’s hits; The Peelers, one of the Bay’s best cover bands; and Dub FX, who combines reggae and hip hop music with intricate drum and bass rhythms. Memorial Park is ideal for family picnics and has numerous amenities such as a lake, gazebo, amphitheater, softball field, and tennis courts. There is a picnic and barbecue area perfect for a small gathering. The park itself is centrally located near the Cupertino Senior Center, Quinlan Community Center, and Cupertino Sports Center. It is open daylight hours until 10pm. Mary Ave. & Stevens Creek Blvd.